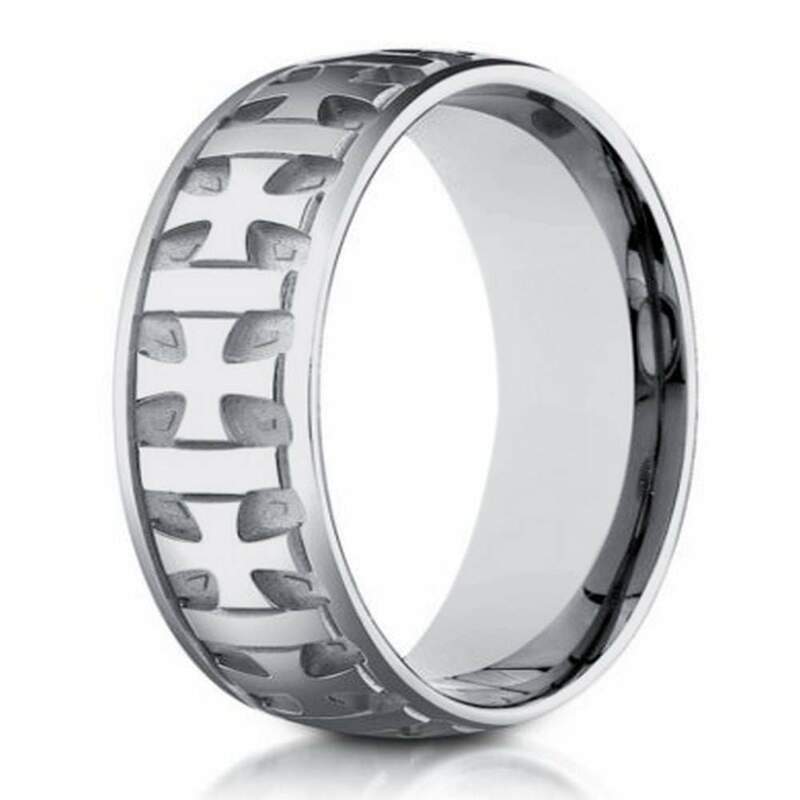 A meaningful twist on the traditional eternity ring, this designer men's white gold wedding band has a carved cross design encircling its form. The 6mm band is made of hardy 10K white gold in a classic satin finish. This men's 10K white gold wedding ring offers a comfort fit for lasting ease of wear. Comfort fit rings usually measure 1/2 size smaller due to the additional metal inside the ring. We recommend having your finger measured for a comfort fit ring at your local jewelry store. I'm very happy with my purchase from JMR! It saved me a great deal of money vs buying retail. The ring was beautiful. There was just one hiccup, the wrong color was originally sent. But after sending it back the correct replacement was sent immediately. I'm very satisfied and will purchase from JMR again.